You can create a real-time search with Wappler - so the results will be filtered as you type! 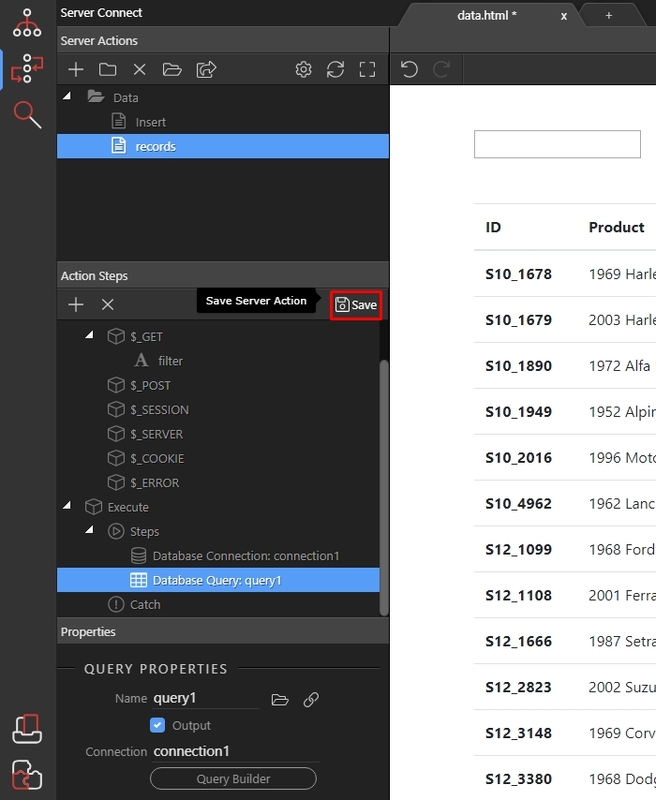 We created a database query and displayed the results on our page. 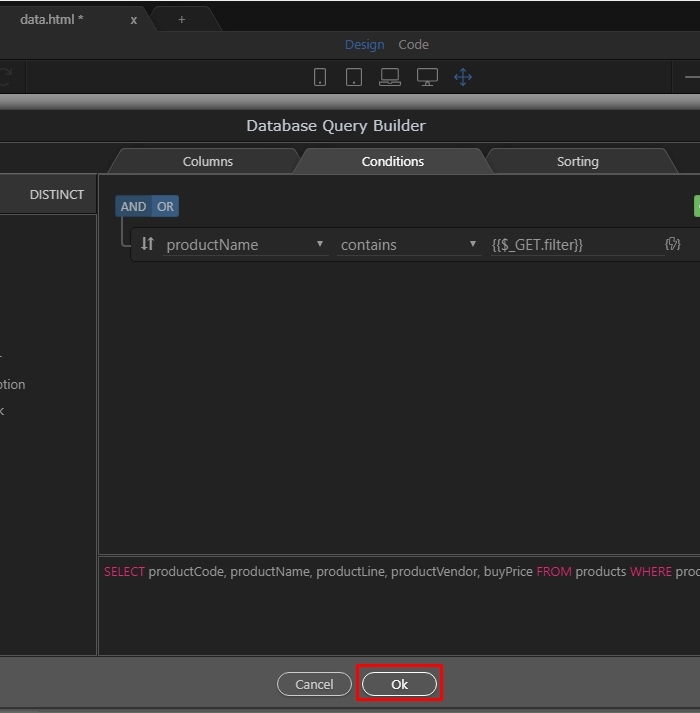 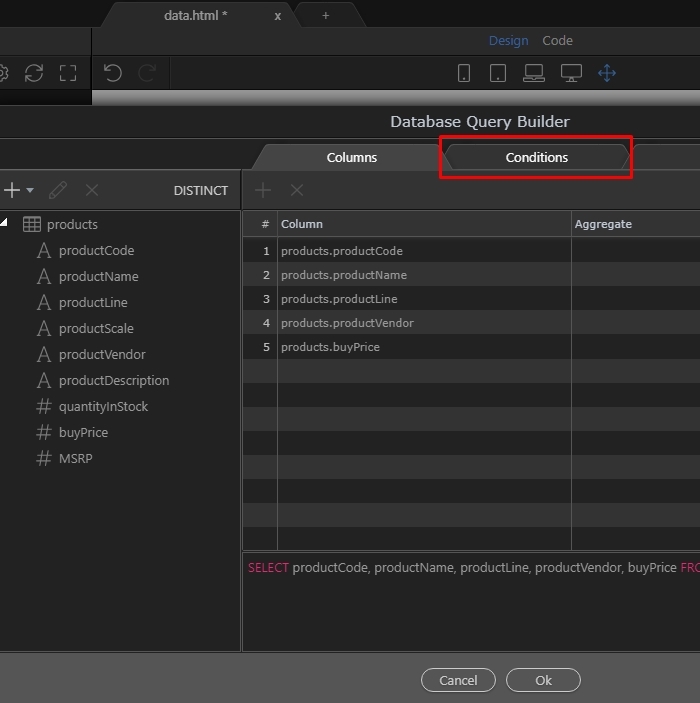 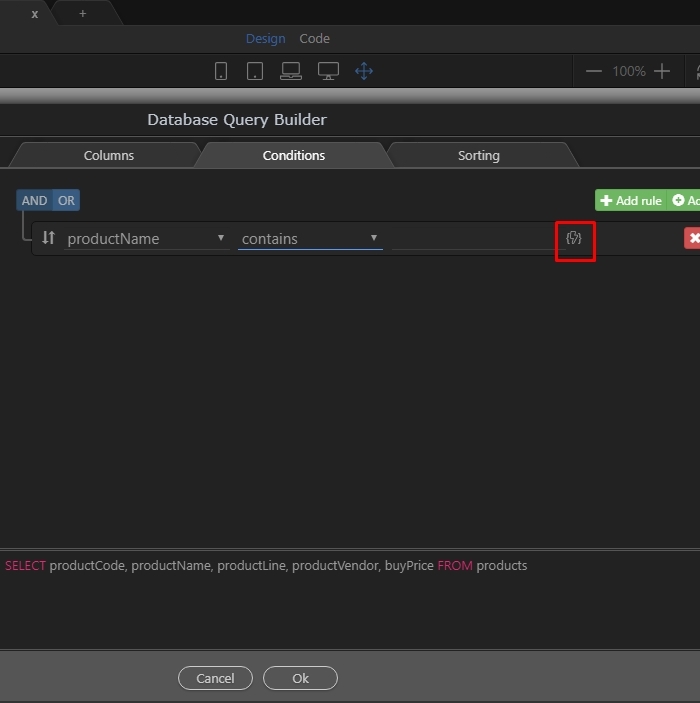 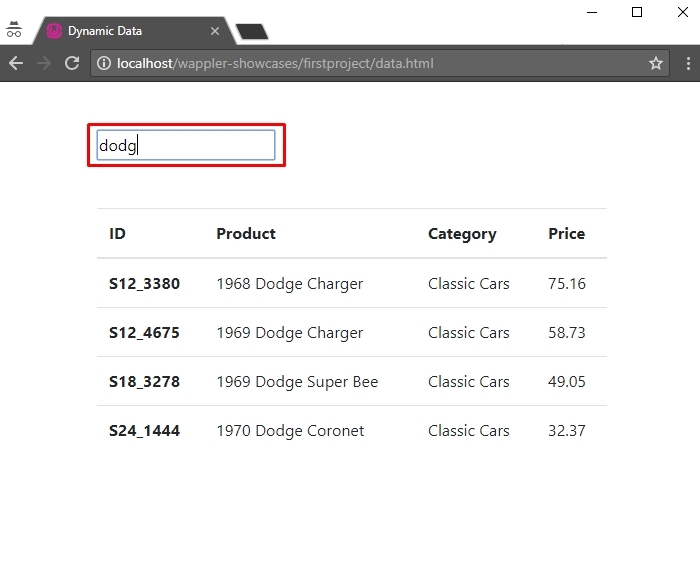 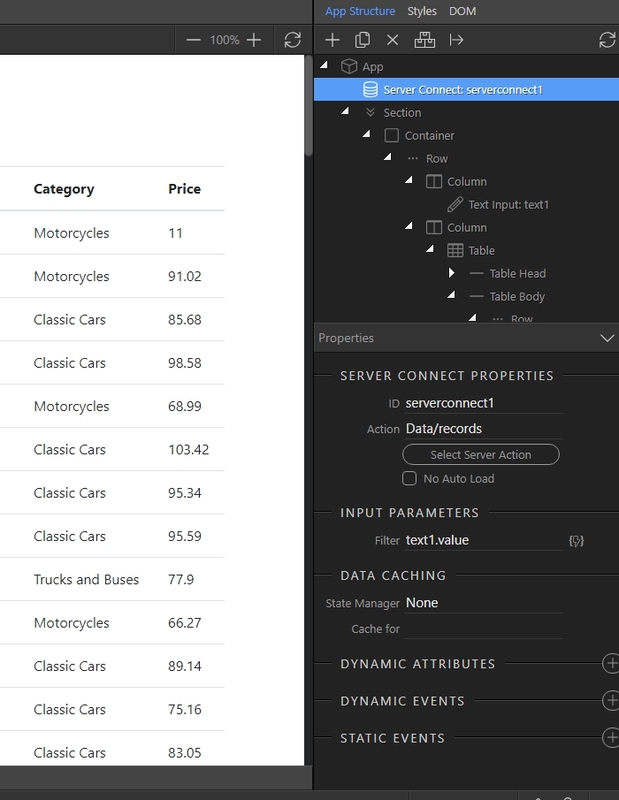 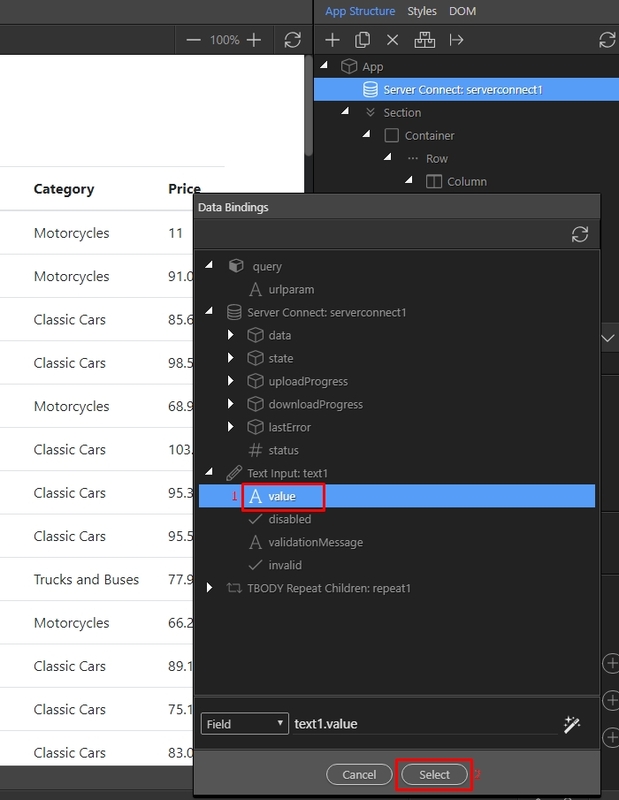 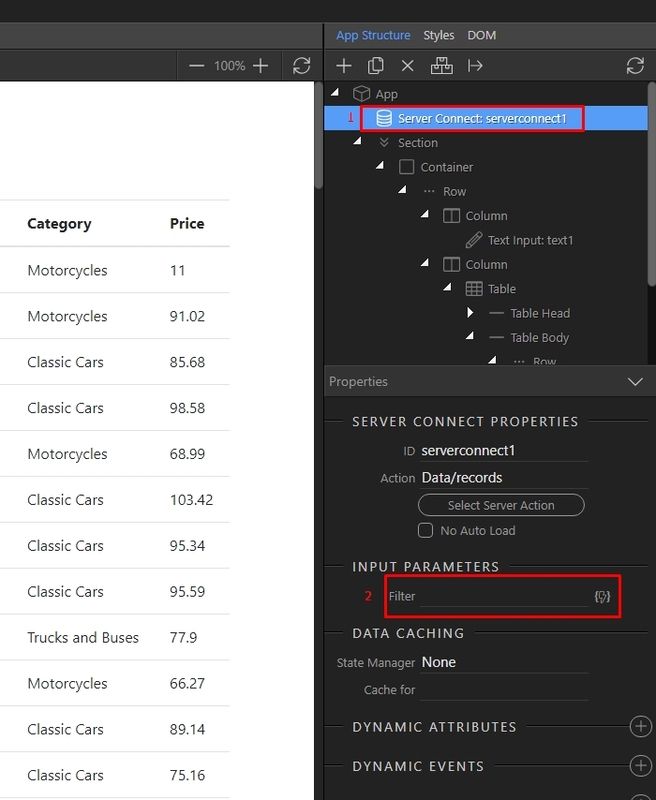 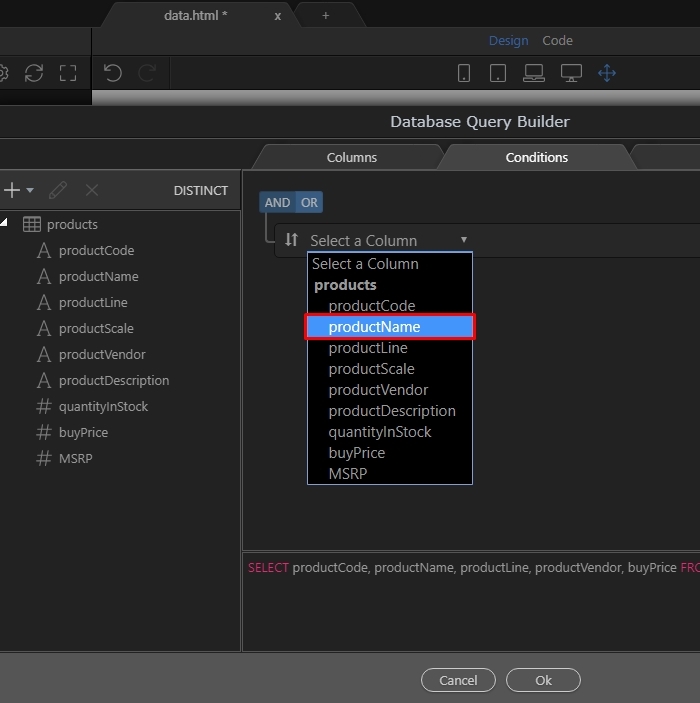 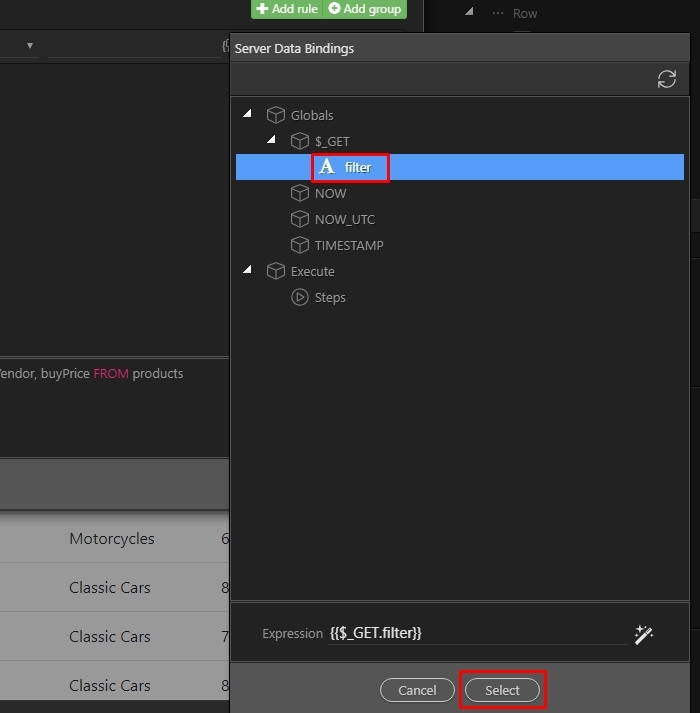 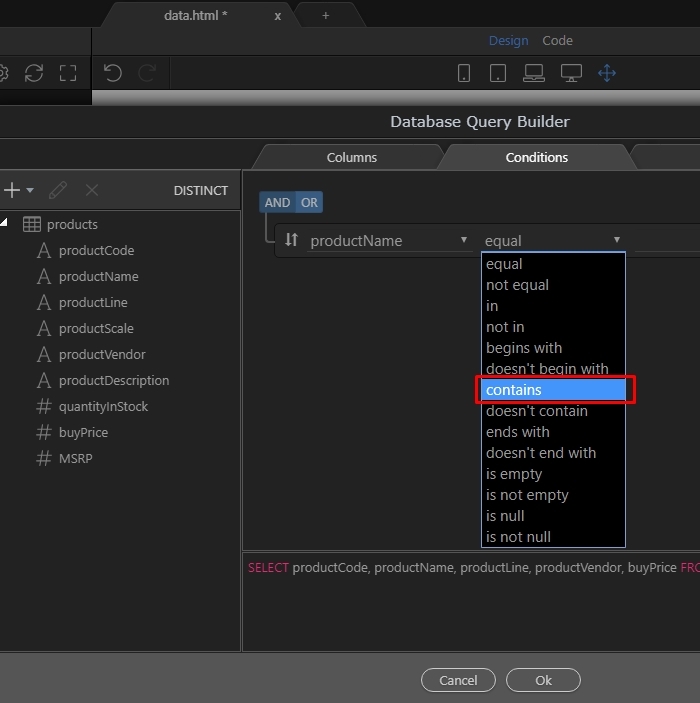 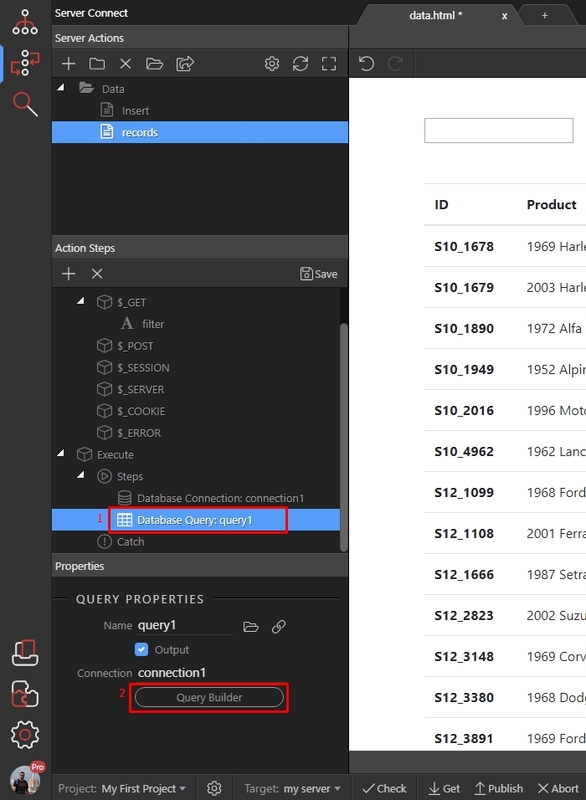 You already know how to create a database query and how to bind dynamic data on your page. 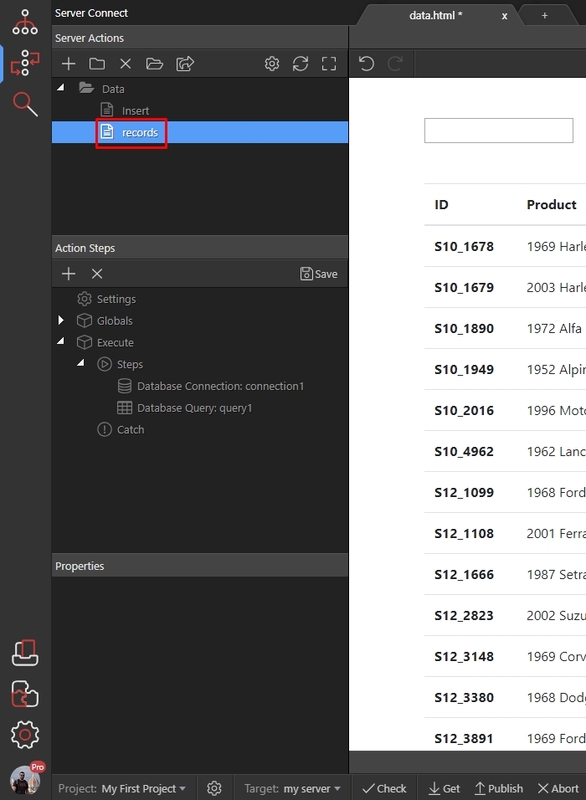 Now back to our page. 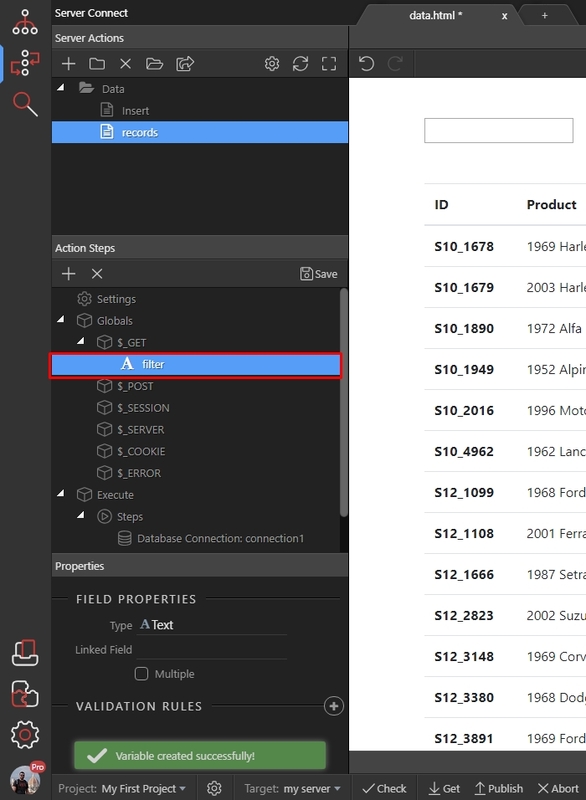 We inserted a simple text field on the page - it will be used to filter the data.